The junior of Tennessee’s two high-profile U.S. 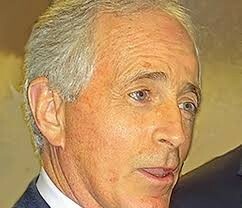 Senators, Bob Corker, resolved the long-running suspense about his 2018 intentions on Tuesday with a formal announcement that he will not be seeking reelection. The Senator’s announcement made no reference to any alternative political plans for the future, though there has been a good deal of conjecture over the years that, whatever he chose to do about reelection, he has considered making a run for the Presidency at some point. That, of course, seems to cover only the remaining portion of his most recent Senate term, his second, which will end at the close of 2018. After a highly successful career as a builder and businessman in Chattanooga, Corker made his first bid for public office in an unsuccessful race for the Senate in 1994, finishing second in that year’s Republican primary to eventual winner Bill Frist. He would then serve as spell as Commissioner of Finance for Governor Don Sundquist and would later run successfully for Mayor of Chattanooga, serving from 2001-2005. In 2006 he tried again for the Senate and, as the Republican nominee, defeated then Congressman Harold Ford of Memphis in a close race that drew considerable national attention. As Senator he developed a reputation for expertise in both financial and foreign issues, serving on the Senate banking committee and on the Senate foreign relations committee, which he now chairs. Corker also made a point of his willingness to work across the aisle with Democrats and maintained an independent voice on specific issues. It was this last penchant that drew the ire of right-wingers in his party and made it inevitable that any bid for reelection next year would be contested in the GOP primary. Most recently Corker created something of a sensation in the national media when he said publicly, in the wake of President Trump’s controversially even-handed reaction to neo-Nazi and Klan activity in Charlottesville, Virginia, that the President seemed to lack the “stability and competence” required by his office. The Senator’s withdrawal opened the way for a competitibe primary next year among Republicans. A Democrat, James Mackler of Nashville, has already begun campaigning for the seat as well. “After much thought, consideration and family discussion over the past year, Elizabeth and I have decided that I will leave the United States Senate when my term expires at the end of 2018. “When I ran for the Senate in 2006, I told people that I couldn’t imagine serving for more than two terms. Understandably, as we have gained influence, that decision has become more difficult. But I have always been drawn to the citizen legislator model, and while I realize it is not for everyone, I believe with the kind of service I provide, it is the right one for me. “I also believe the most important public service I have to offer our country could well occur over the next 15 months, and I want to be able to do that as thoughtfully and independently as I did the first 10 years and nine months of my Senate career. “Serving the people of Tennessee in this capacity has been the greatest privilege of my life. And as I spent the month of August traveling across our great state, I was reminded that we live in a unique place full of people who care deeply about the direction of our country. “I am grateful to the people of Tennessee for the opportunity to serve my state and country. I have been fortunate to do so with an extraordinary staff, and I want to thank them for their incredible dedication. I know that we will continue to have an impact for the remainder of our term, and I look forward to finding other ways to make a difference in the future. Sign up for MRA newsletters.